We provide national registered agent service. 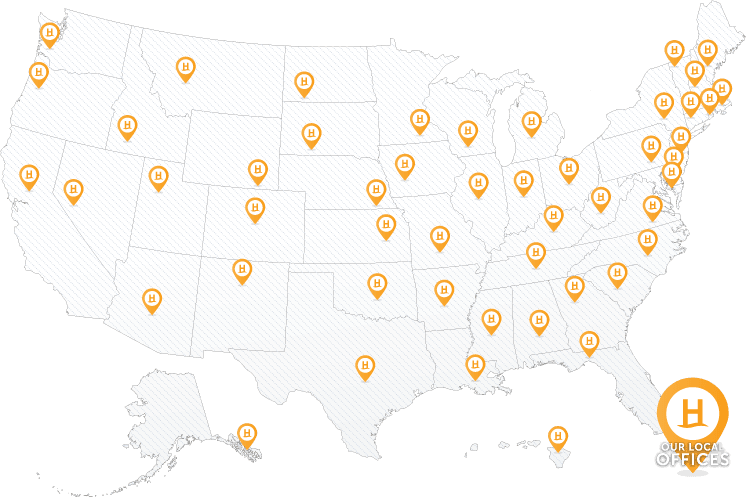 Our local offices in all 50 states reliably scan your documents to you same-day. We charge a competitive annual flat fee of $99 /year and offer discounts for multi-year and multi-state orders. When you have been served with a lawsuit, you have limited time to respond. Many companies providing national registered agent service forward your document to a central processing facility, which delays your receipt of time-sensitive material by days. When your business expands to multiple state, working with a single registered agent simplifies things. You receive a discount on your multi-state purchase. You have one Secure Client Dashboard and one login to manage your service across multiple states. We abide by your notification preferences (per state) to alert you to new mail. You are assigned a single account manager who you can contact directly anytime for support. Our namesake “business compliance” speaks to the added value you receive as one of our clients. Our entire business is incorporation and business compliance. We can help your business file annual reports, expand to a new state (foreign qualification), and otherwise stay abreast and compliant with state corporations codes. You’ll enjoy the convenience of personalized affordable support from your account manager. Subscription tricks and pricing gimmicks are an unfortunate fact in our industry. If you find yourself locked into a registered agent subscription with one of our competitors that you do not want, please contact us, we can help. Below are a few examples of our competitor’s tricks. You can rest assured that our pricing is up-front and one flat rate with no hidden fees. Registered agent service fees are inflated to 250%+ what dedicated registered agents typically charge ( $99 /year). The registered agent service you purchased is not actually the flat rate advertised, but instead includes strange account maintenance, document handling, and other add-on fees. You are offered a low introductory rate which is routinely automatically raised on each renewal. Coordinating your change of registered agent across many states is a big task, but when you hire our service, we file your change forms for free - you are only responsible for the state change fees! Our personalized Secure Client Dashboard permits you to login and download your documents securely; but some of our larger clients need more. Our technical staff customizes technology solutions to support your registered agent service. Do you want our system to integrate directly with yours? Do you want highly-customized notifications (email, text, phone) to your staff, attorneys, and officers? We believe we’re the only company that does this. We build high-quality customized technical solutions that provide exactly the service you want.